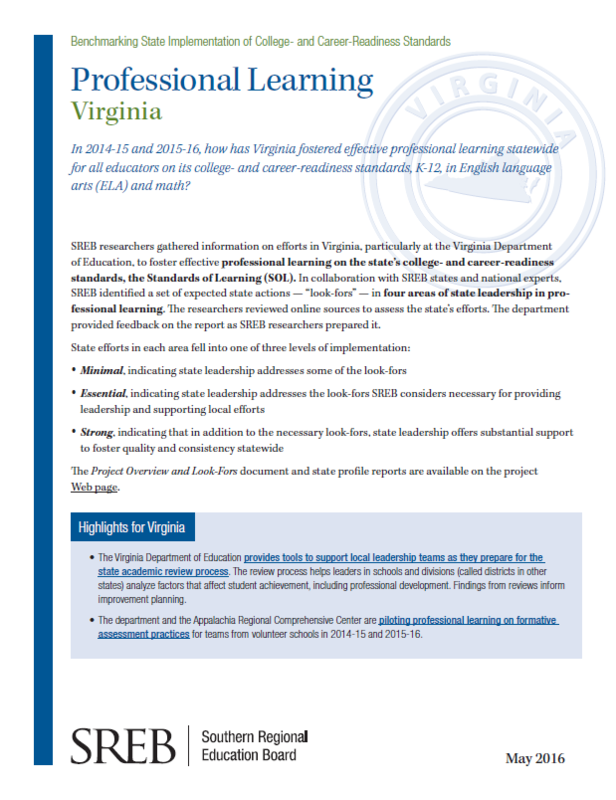 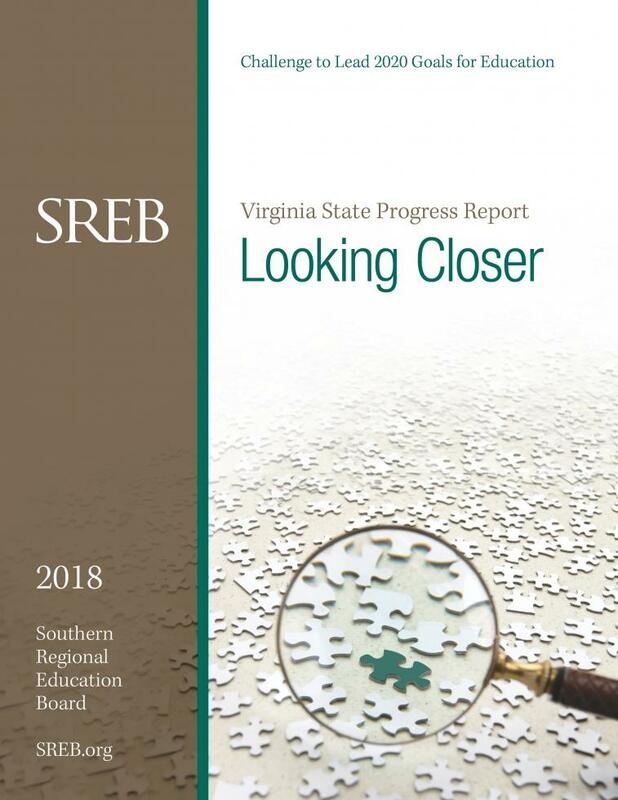 SREB works with Virginia policymakers, colleges and schools to help them improve education. 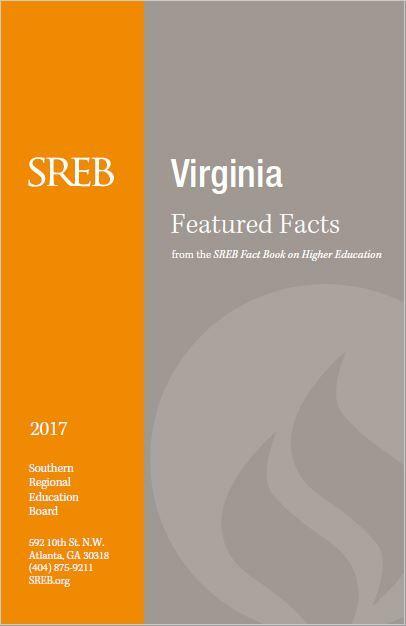 From this page, find independent, accurate data, reliable best practices and ways to share scarce resources — plus details on how Virginia uses SREB’s targeted programs and services. 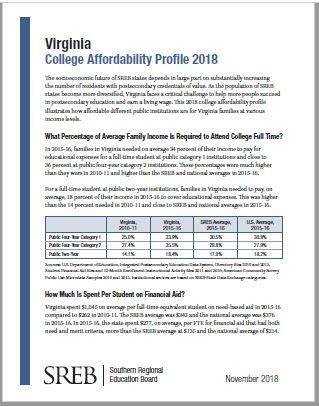 Virginia-specific data on population, demographic, education attainment, enrollment, graduation rates, workforce, tuition, debt, funding, faculty salaries and more.